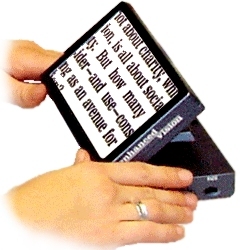 - Digital Magnification from 3.5 to 14X enables the user to leave the Amigo directly on reading material and adjust magnification. - Screen Tilting function gives the user the flexibility to view images at a comfortable angle. - Freeze Frame allows the user to take a temporary picture.